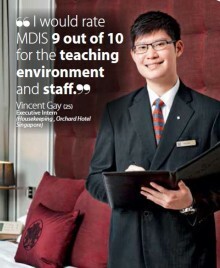 Upclose and Personal With Chris Marshall - Why Tourism Offers You An Extremely Rewarding Career! 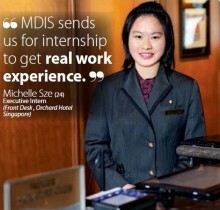 Through the MDIS degree programme in hospitality, Ms Jasline Fong picks up the finer points of good service. 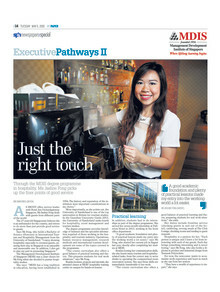 For Ms Yvonne Chan and Mr Raja Khairul Anwar, learning skills such as cocktail mixing at MDIS' Tropical Breeze hospitality training centre gives them a deeper understanding of what it takes to manage their staff in the future.